Keith Massel: Founder, President of Vista Center for Behavior Analysis. A few years ago I realized that there were not good quality treatments for adults with Autism Spectrum Disorder(ASD). As a result, Vista has developed a comprehensive program that is based on Applied Behavior Analysis (ABA) services. I believe that adults with autism are a neglected population. They receive some services through various regional centers such as: adaptive skills for young adults, supportive living skills, independent living skills, day treatment, and funded group homes. These services are very valuable and effective for many people. Most of the programs do not use Applied Behavior Analysis procedures, and there’s generally a lack of accountability for the results of the program. As we all know, the regional centers are under a great deal of pressure to save money, and it is unlikely that more extensive services for adults will be forthcoming in the near future. 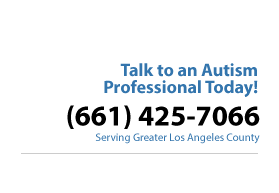 I believe an effective program for adults with Autism Spectrum Disorder must involve Applied Behavior Analysis, which is the only evidence-based program that has proven to be successful for individuals with autism. I’ve recently spoken to people who think ABA is only for children. This is simply not true. I believe many people focus on discreet trials training or intensive ABA training, whereby a child receives 25 to 40 hours per week of services. Yes this is a common expectation for ABA services, but it’s only one aspect of Applied Behavior Analysis. An Applied Behavior Analysis program is data-based, able to be replicated, accountable, and deals with socially valid behavior change. For adults, ABA would not be 25 to 40 hours of services per week. Depending on the severity of the individual’s diagnosis, the services would range from from two to twelve hours per week.